Completed entries RECEIVED by the closing date get a $25 stall discount! Get your entries in by the closing date, Feb 14th, to receive your $25 stall discount and aviod a $30 post entry fee. Help us get early class counts to help give you an estimated time schedule! Leave your tack room set up for both shows! Trainers, if you plan on attending both the February and March shows, please be sure to mention that when making stall reservations and you will be able to keep your tack room set up between shows! 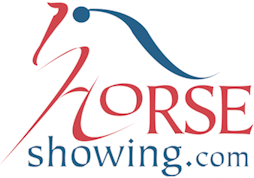 No schooling in show ring Sunday before the show.